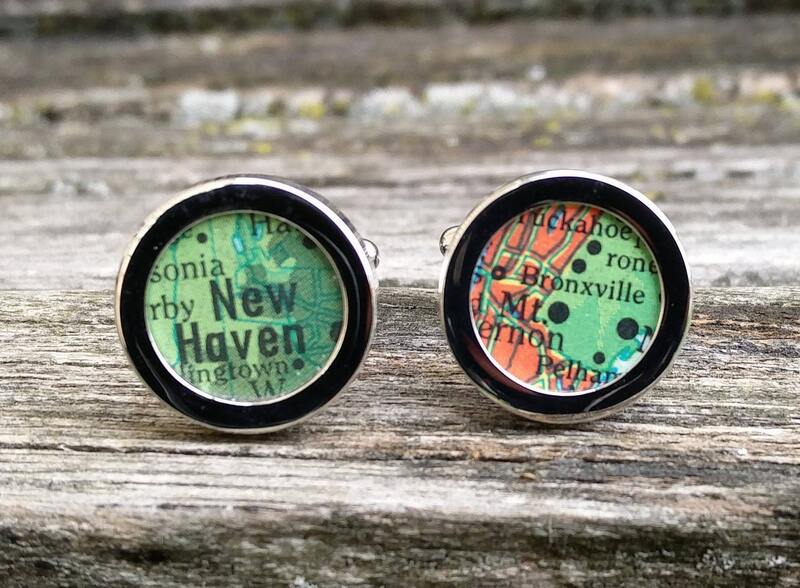 These vintage map cufflinks are totally customizable! They can each hold a custom location. 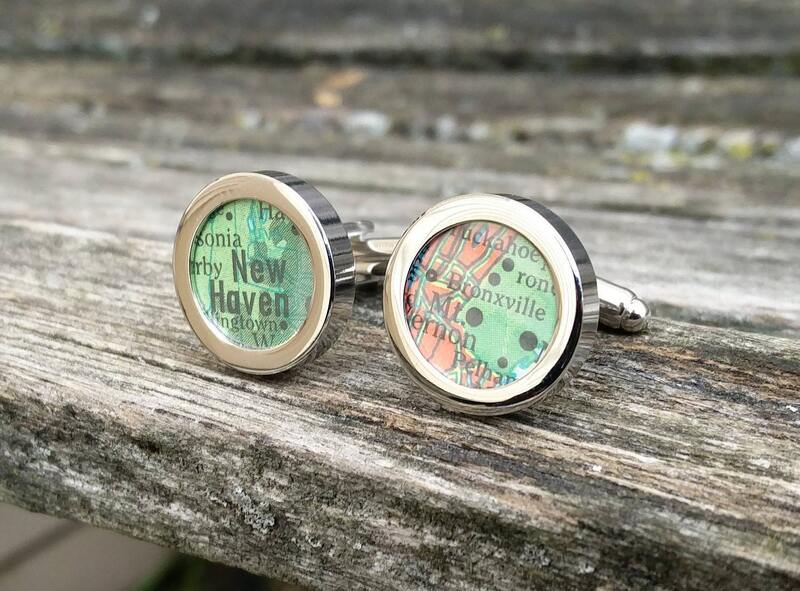 This is the perfect way to commemorate special places. Guys love them! 1. Purchase as many pairs as you need. 2. Leave me a message on the checkout page with the two map locations you would like. 3. 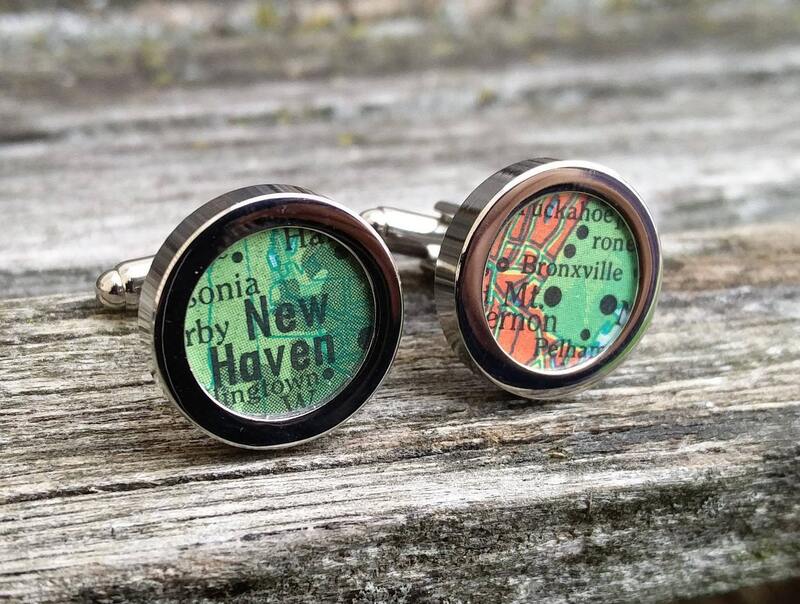 I will put the map pages into the cufflinks and mail them to you. Map colors will vary depending on location/elevation on the map. If you have a color preference, please let me know and I will see if I can find a map in those colors. 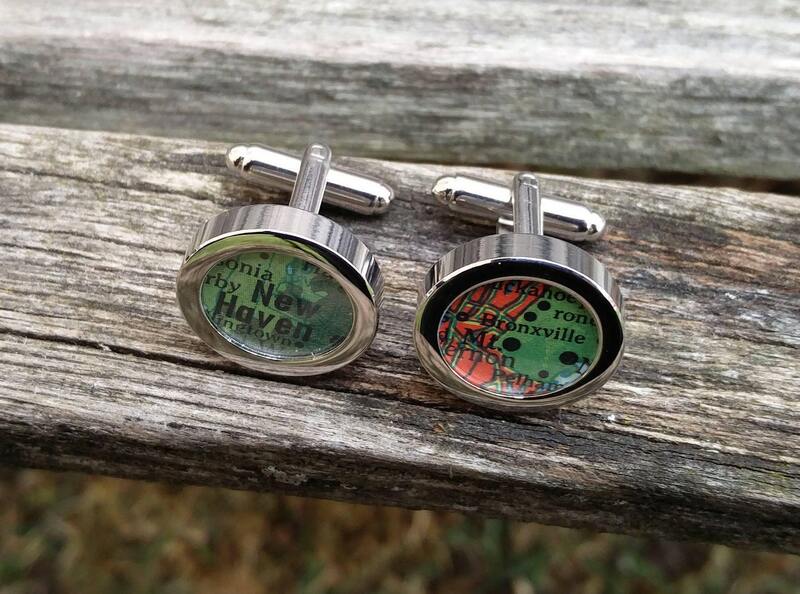 These are perfect to give to a groom, husband, dad, or anyone else! 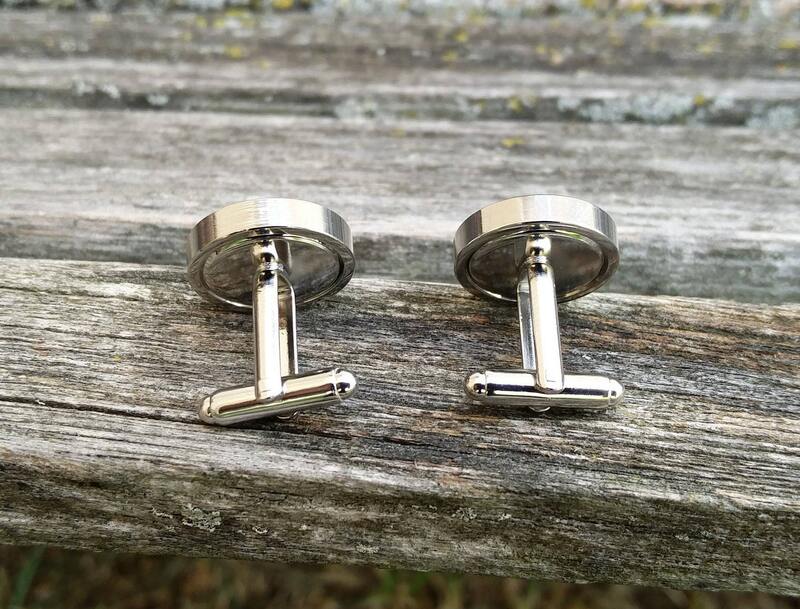 These are stainless steel and come in a gift box. 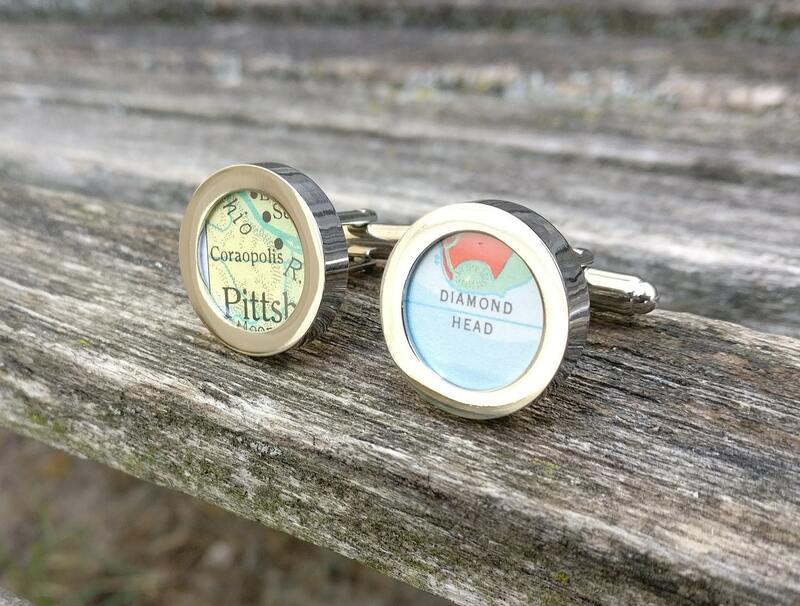 I can also make artwork into a tie clip.